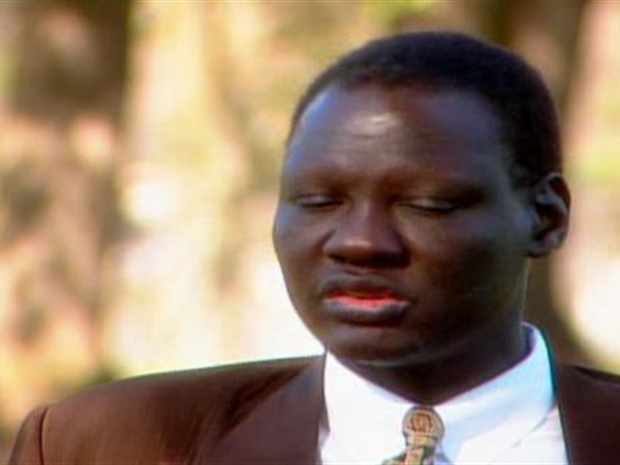 Manute Bol: A "Life of Faith, Courage and Moral Dignity"
The world largely knew Manute Bol as the 7-foot-7-inch NBA center who dedicated his later life to helping resolve religious and ethnic conflicts in his homeland. On Tuesday, those who knew him more intimately remembered Bol as the towering force who had enough confidence to block shots from the likes of Michael Jordan and enough courage to challenge Mikhail Gorbachev on Russian weapon transfers to Sudan. Dignitaries, policymakers, friends and family members filled the Washington National Cathedral to honor Bol, who died June 19 after a battle with a painful skin condition and severe kidney problems. Bol was 47 years old. He came to Washington to play for the Bullets in 1985 and spent a total of nine seasons in the NBA. Afterward, he became more focused on his humanitarian work in Africa, most notably with the Kansas-based Sudan Sunrise organization. Bol also ran into serious financial and political struggles in his homeland. But family members said Bol's audacity didn't quit, even at the height of his illness. Watch a 2002 feature on former Washington Bullets center Manute Bol. 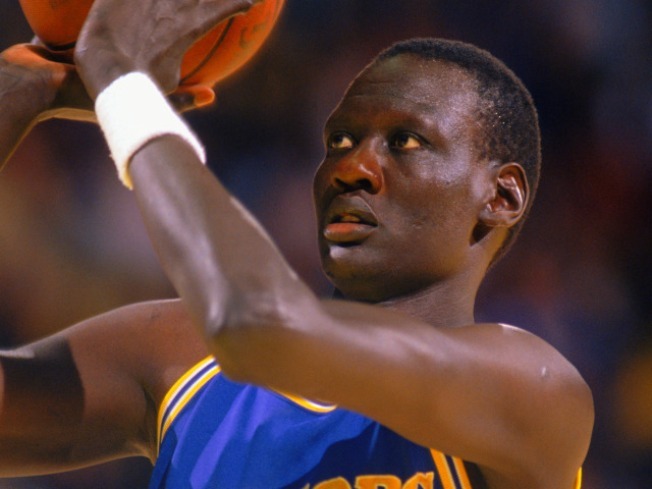 "Manute has shown us courage at the time when he was lying in the hospital," said Bol's uncle from the pulpit. "He was telling us that nothing could kill him. He was confident. He restored courage in us, too." Fellow former athlete and current NBA Development Vice President Rory Sparrow, who was there to represent the league, recalled his encounters with Bol on the court. "My first impression of Manute Bol when I saw him as a comptetitor was, 'Wow, that guy is tall! He's a giant.' Little did I know how true that statement was," said Sparrow. "He was also a giant off the court. He had a heart that was very large and full of compassion for his fellow man." Kansas Sen. Sam Brownback, who came to know Bol after he moved to Kansas, also spoke at the funeral. He recalled instances when Bol got himself licensed as the tallest horseracing jockey in Indiana history, and when he challenged former NFL star William "The Refrigerator" Perry to a fight, all in an effort to raise money for Sudan. "I can't think of a person that I know of in the world [who] used [his] celebrity status for a greater good than what Manute Bol did," said Brownback. "He did it for his people. He gave his life for his people."